I'm happy to bring you an an interview today with the founder of TeachWriting.org, Meredith Dobbs. 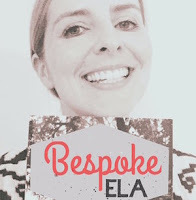 She has recently launched this rapidly growing website filled with wonderful, practical, immediately-applicable ideas for teachers to use in their writing instruction. It's a life-saver for new teachers and a goldmine of fun, fresh ideas for experienced teachers. 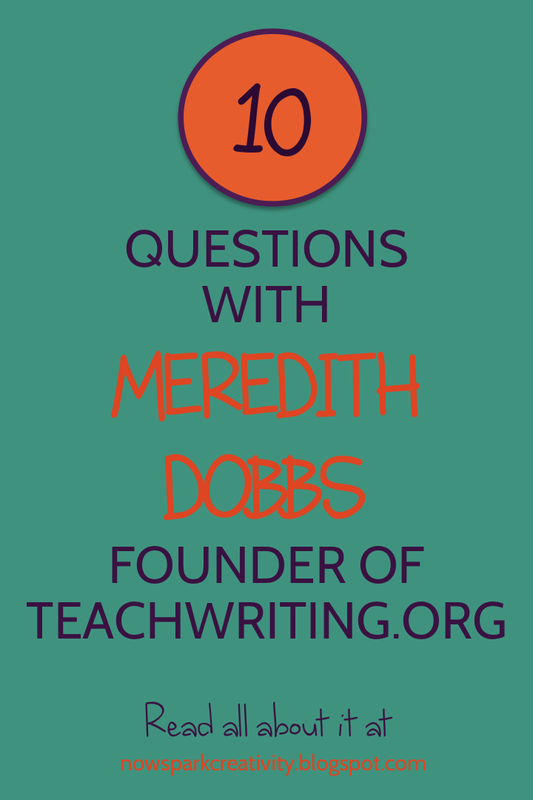 Meredith has taught high school English for more than ten years in Dallas, Chicago and New York City and holds an M.A. in Literature from Northwestern University. 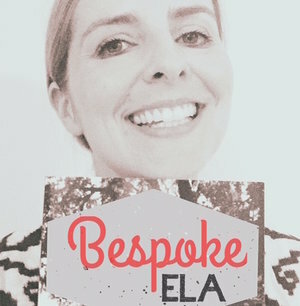 She also runs Bespoke ELA. 1. Tell me a little bit about yourself. How did you end up becoming an English teacher? I have always had a connection to the written word. Growing up, I used to play piano and guitar. After I "discovered" The Beatles, I really poured myself into songwriting. Later on, I got into screenplay writing and loved to read screenplays. Reading literature was the backbone of my creative writing endeavors, and English was always my favorite subject in school. I had some incredible English teachers along the way, and I always thought teaching English would be a great way to marry my passions with a career. Flash forward to today, and I've taught English for 12 years. 2. What drew you to focus on the teaching of writing, in particular? As the years of teaching have ticked by, I have noticed a significant need to focus on writing instruction above all other skills. This is the tech generation, and love it or hate it, technology has had a significant (and sometimes negative) impact on student writing. Writing is so incredibly important because it makes up 50% of fundamental communication (the other 50% is from speaking, of course). It is intertwined into every single discipline in life. A person who can communicate effectively can yield great power in life. 3. You've started a wonderful new collaborative site for teachers, TeachWriting.org. What made you decide to do it? TeachWriting.org was born out of a need for top-quality writing instruction by teachers across the nation. While there are many fantastic workshops available to teachers, I found that I needed resources at my fingertips in a timelier manner throughout the school year instead of waiting for summer workshops. If I have a particular writing instructional need, I'd like to be able to go online and find resources that I can literally use in my classroom the next day. TeachWriting.org is aimed at putting timely resources into teachers' hands on demand. The great thing about TeachWriting.org is that we are a group of real life teachers who know the challenges teachers are facing in the classroom and know what they need. 4. What is your favorite thing about the site? My favorite thing about TeachWriting.org is the collaboration! I love that a group of teachers can come together to share ideas in a collaborative and supportive spirit to help fellow teachers on the front lines of education. I also love the fact that TeachWriting.org puts much needed content at the fingertips of teachers who can literally get ideas for writing lessons to teach in their classrooms the very next day! 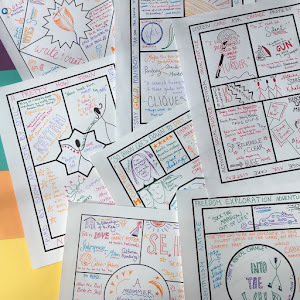 And I've found that these lessons, ideas, tips, strategies, and printables are more relevant than what I often receive at professional development workshops that aren't always delivered by people who have done much writing instruction. 5. How can teachers stay in touch with TeachWriting.org if they'd like to get writing tips but are too busy to check in often? The best way to stay in touch with TeachWriting.org is to subscribe to the newsletter. That way, you will receive the most recent posts directly to your email inbox. To sign up for the newsletter, click here and scroll to the bottom of the page. 6. What advice would you give to a brand new teacher about to give that first writing assignment? I would tell a brand new teacher to aim for improvement, not perfection. We can get so caught up in marking every error in an essay that it can be discouraging to both the teacher and the student. Many new teachers go through a period of disillusionment in which they come to terms with the reality of student writing in the 21st century. I think this transitional period can be far less frustrating by focusing in on one or two targeted writing skills at a time and allowing time for the writing to breathe. 7. When you explain to students why you want them to become good writers, what do you say? Why does writing matter? I explain to them that written communication is a fundamental part of life and that written communication affects every part of life-- from getting a job, to communicating with a landlord, to writing editorials to voice opinions for change. Communication is everywhere and involved in everything. Besides the practical "stuff," writing is also flat out entertaining. The very people that write the scripts and lyrics to the TV shows, movies, and songs they love are all prolific writers. They are highly skilled and highly experienced. Writing is what captures the very essence of the human condition. We must carry that forward. 8. What's your favorite writing assignment that you have ever given to students? Since I am a lover of creative writing, one of my favorite lessons is to have students create the absolute worst story they've ever written and ever read in their entire lives. I instruct them to break every single rule of story telling that they know. Then, I have them explicate why the story doesn't work. This is a great strategy to start a dialogue about the traits of a "good story." Afterwards, students can apply their definitions of "good storytelling" to classics from the Literary Canon such as Macbeth. I find that constructing original stories enables students to understand deconstruction and analysis with much more depth and insight. 9. How do you grade major writing assessments? Any tips in that realm for new teachers? One of the things I do is I take up pieces of the essay along the way so that by the time I see the "final" draft, the essay is familiar and has gone through several rounds of revisions. I also grade the final essay twice. For the first submission, I grade for quality against the rubric. After students receive the graded essay back, they can revise the essay and resubmit it for half the points back to 100. During this round of grading, I check for the effort put into revising the essay. For students who score a 75 or lower, this revision is mandatory and also includes a mandatory tutorial or at least one visit to the Writing Center (as applicable to the school). If a student scores a 70 on the first round of grading, that student can earn up to an 85 depending upon the quality and effort put into revising the essay. This grading philosophy enables me to better reflect the idea that writing is a process while simultaneously holding them accountable for their efforts. 10. What is your own writing process like? What do you enjoy about writing, personally? My own writing process has always involved ample free writing. Oftentimes, I have no idea where I'm going or what I want to create when I first start. I keep writing and writing and writing until I find the direction. I love how free writing enables me to tap into my subconscious mind, and I'm continually surprised by the connections my brain can make through this process. I also love that writing gives complete freedom to process and analyzing life experiences.